MANILA, Philippines – What seemed like a regular blind item on TV5’s Paparazzi spun out of control when host Zoren Legaspi named Dingdong Dantes as the actor who was arrested in Las Vegas. According to reports, he was in a bar with girlfriend Marian Rivera when he had to step outside for a moment. Upon returning, he wasn’t allowed to re-enter because he forgot to have his wrist stamped. He lost his temper and was involved in a brief scuffle until the police were called and escorted him off the premises. While tragedy has struck the T.G.I.S. star, the Las Vegas doormen should have been thankful they didn’t have to deal with his feisty girlfriend. In a move that will excite more bekis than football aficionados, David Beckham and the rest of the L.A. Galaxy team will fly to Manila for a friendly match against the Azkals at the Rizal Memorial Stadium today. The visit will be part of an Asia-Pacific tour and will include a football clinic and a glimpse of the star players. When asked why the team chose to play in the Philippines, Galaxy president Tom Payne said “The timing worked out and it will be good to come to a market that doesn’t have these matches often.” The venue, which can seat up to 18,000 people, will surely be filled with fans of the Azkals, the Galaxy, football, and Posh. In the highly-anticipated film The Hunger Games to be released in early 2012, one Filipina is playing the tribute from District 4. Her name is Tara Macken, an Irish-Filipino gymnast-model who works as a stunt actor in Los Angeles, California. Born in Kuwait, she moved to the Philippines after grade school to study in the International School Manila, where she joined dance groups that sent her and her team to compete internationally. She moved to California after high school to pursue Political Science and Theater Arts, and since then, it can be assumed that she moved to Panem where she participated in The Hunger Games, thus proving the fact that we Filipinos are everywhere. It was a sad day for designer Kenneth Cobonpue, interior designer Budji Layug and architect Royal Pineda when their pro bono design on the remake of NAIA was set aside in favor of Leandro Locsin’s work with the help of the people behind Changi Airport, one of the best in the world. Cobonpue and the team revealed that several Cabinet officials approached them about the design. 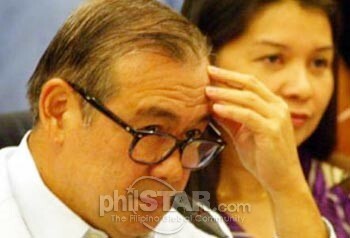 The situation worsened when Teddy Boy Locsin, in his segment TEDitorial announced that the three designers should be given a subpoena to reveal the names of the Cabinet members who hinted they could remodel the airport if they refurnished their homes for a “deep discount or” for “free,” adding that the homes of Cabinet officials should be searched for furniture coming from the internationally-renowned group. He even went as far as saying that “nobody who is anyone notices the airports they pass through,” and that as long as “it performs immigration and customs functions, who cares if it does not do anything else?” Uh, maybe the people who care about cleanliness, hygiene, and corruption-free operation? Notorious DJ and host Mo Twister faced his own controversy when he announced on Paparazzi that he will be flying to New York City to escape the drama and “negative vibes” being linked to him. 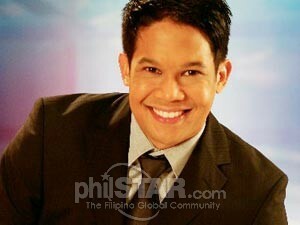 Though he refuses to comment on the details, many believe his decision involves ex-girlfriend Rhian Ramos. It can be remembered that in May, the couple broke up on Twitter when a hacker allegedly broke into Rhian’s account to tweet that they’ve broken up, even before Mo found out. Just recently, the two started talking again until Mo posted mysterious tweets about abortion — prompting readers to wonder what he meant and who he was alluding to. Perhaps the DJ has bitten off mo’ than he could chew, but according to Jay-Z, if he can make it in NY, he can make it anywhere. 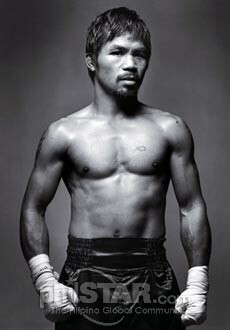 Online magazine Salon recently named pound-for-pound king Manny Pacquiao as one of its sexiest men of 2011. The magazine chose Pacquiao as its eighth candidate because aside from being one of the best boxers in the world “with a Bieber-esque moptop,” he has an ability to “croon romantic ballads that are just as deadly.” The site also mentions his humanitarian efforts in fighting poverty and his position as the country’s greatest national icon in the world (surely an exaggeration?). Salon’s annual list includes men with unconventional charm whose cultural relevance, intelligence, principles, and talent outweigh hard-rock abs and blindingly white teeth. The whole country (at least on Twitter) feigned surprised when news broke out that KC Concepcion and Piolo Pascual have called it quits after a year-long whirlwind romance. The cause of the breakup was kept mum, but KC revealed on The Buzz that the rift began two to three months ago and that she can’t take it anymore, calling the relationship a “tug-of-war” — between her and who else, nobody knows exactly. The interview was vague, but people couldn’t get over her cryptic statements, especially “May mga hinahanap ako na basic lang na hahanapin ng isang babae sa isang boyfriend,sa isang lalaki,” and “Hindi ko mabigay sa kanya ‘yung kailangan niya.” Fill in the blanks. The Philippines has never been home to conspiracies. What seemed to be an American pastime has hit the nation as the camp of former President Gloria Macapagal-Arroyo has received word that there is a plot to kill her, codenamed “Put The Little Girl To Sleep.” According to CGMA spokesperson Elena Bautista-Horn, a reliable source from President Aquino’s camp has informed them that there is a threat to the Pampanga representative’s life and that they should be careful with the food and medicine provided to her. While the operation has a poetic name, Budget Secretary Butch Abad denied the allegation and advised Horn to see a psychiatrist. After 15 hours of talks, a tentative deal was reached to end the four-month lockout of the National Basketball Association. 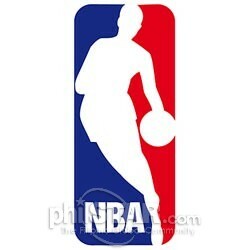 The fourth lockout in the history of NBA began when a deal in 2005 regarding issues such as basketball-related income (BRI) ended in June 2011. The agreed settlement detailed the new percentage in BRI for players and the reformation of the union, and as soon as all the other issues have been settled, the 2011-2012 season can officially begin, or what we like to call beer-and-chips season. 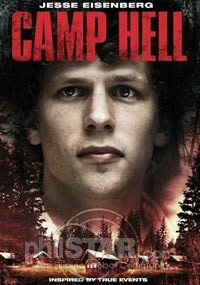 A movie poster for Camp Hell prominently featuring the face of The Social Network star Jesse Eisenberg has caused him to sue the production company for $3 million for alleged misappropriation of right of publicity and unfair business practices. In the suit, it states that contrary to the poster, “Eisenberg is not the star of the film” and appears for less than five minutes, receiving $3,000 for the role, which the actor’s camp claims is substantially less than what he typically receives. Some may say it is an underhanded way of attracting viewers, some say it’s advertising genius.